My Peep Topiary strikes again. I tell ya, people love this thing. 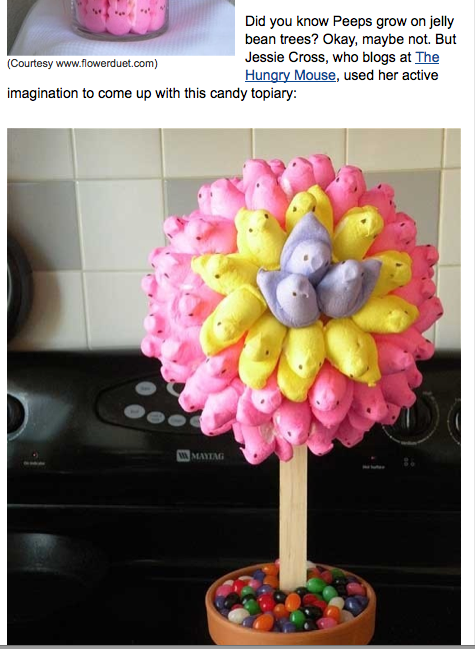 The Washington Post featured my festive Easter table centerpiece in their article Peeps: Eat them, craft them…kill them? Many thanks, guys!